These scenarios illustrate the various types of grids and attributes described in Chapter 3. 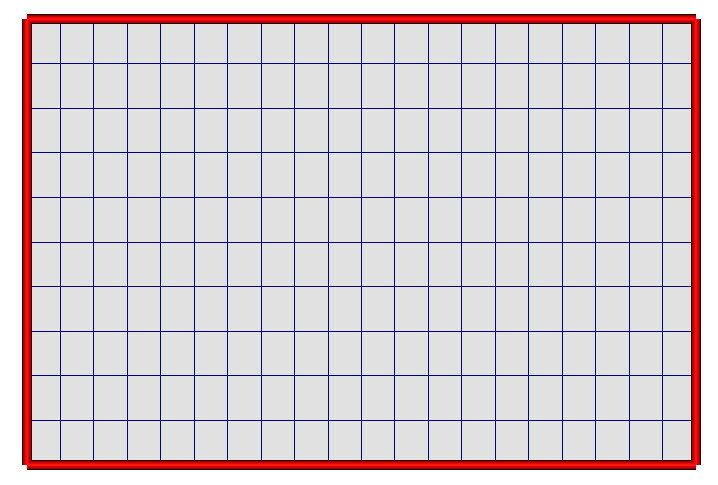 This scenario demonstrates the creation of a 2D uniform grid that covers a rectangular domain. 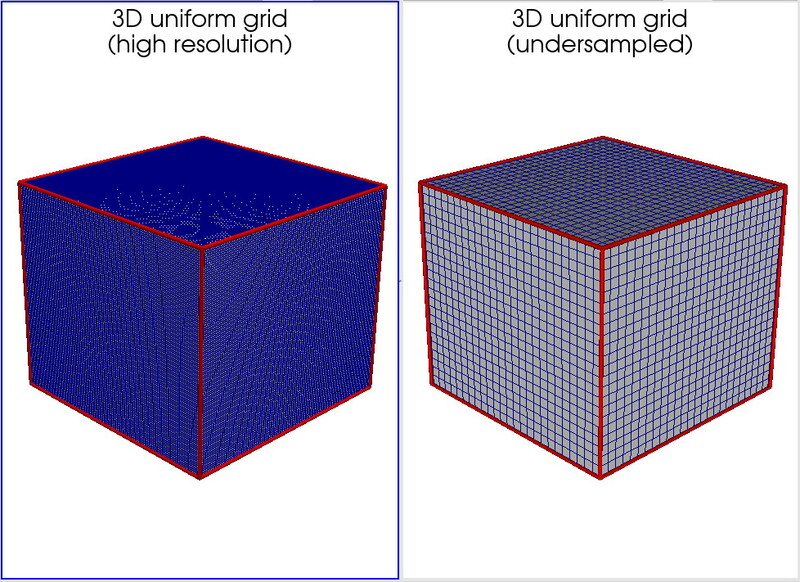 This scenario demonstrates the visualization of a 3D uniform grid, loaded from a VTK dataset. It also demonstrates how to undersample such a dataset. 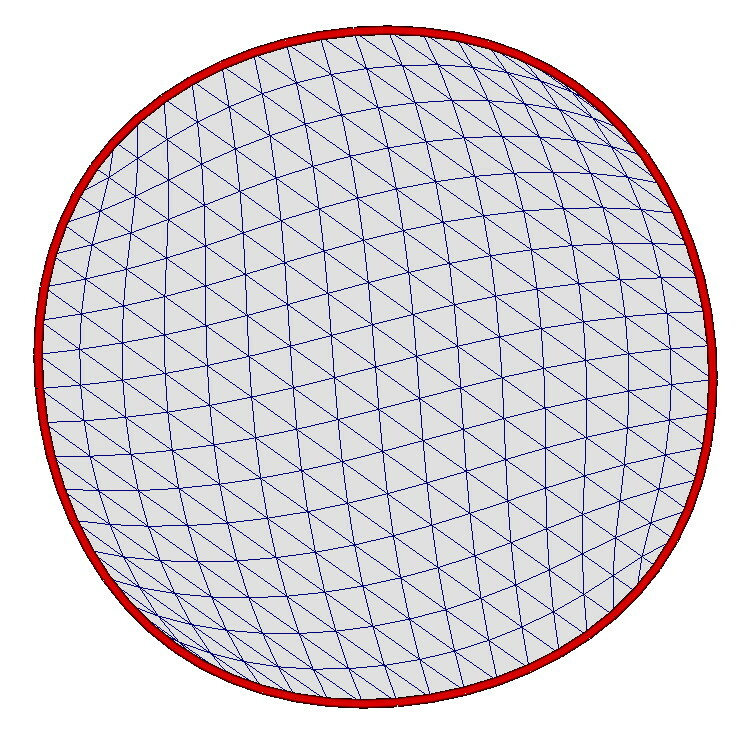 This scenario demonstrates the creation of a 2D structured grid that covers the interior of a circle. 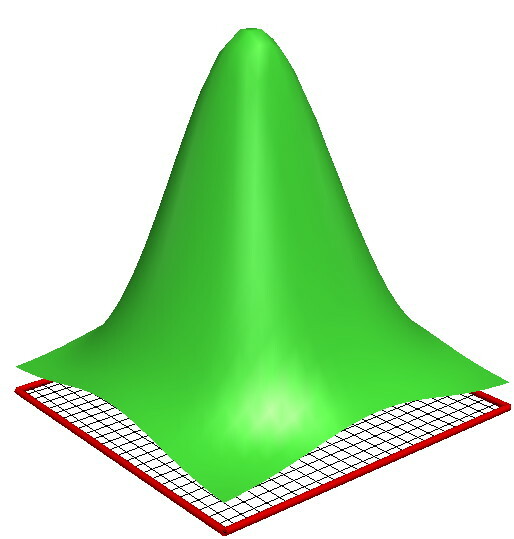 This scenario demonstrates the creation of a 3D structured grid that represents the surface created by plotting a 2D Gaussian function. 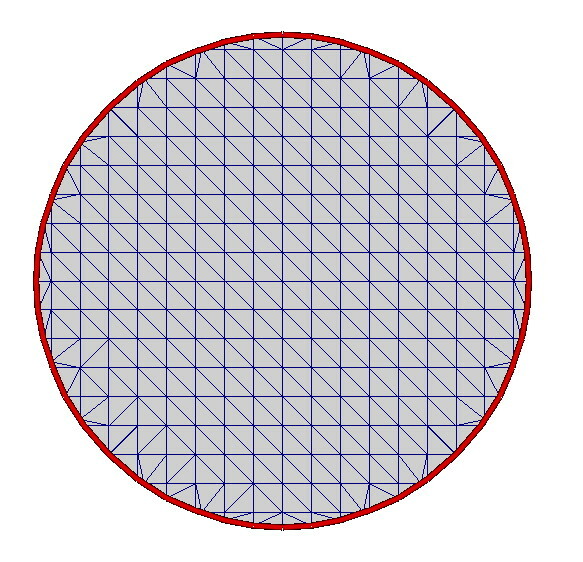 This scenario demonstrates the visualization of a 2D unstructured grid, created by Delaunay triangulation of a 2D circular area. This scenario demonstrates the visualization of a 3D unstructured grid, loaded from a PLY file. This scenario demonstrates the visualization of a 2D unstructured grid, created from a slice of a 3D volume. 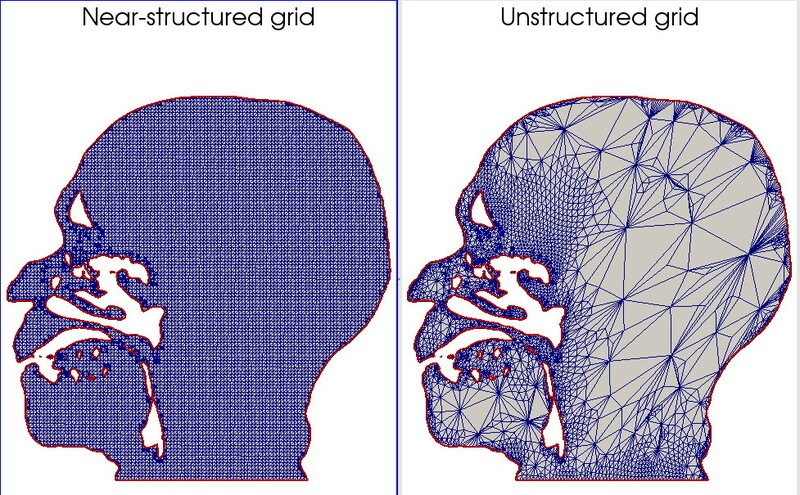 Two such grids are shown: a near-structured one, and a highly unstructured one. 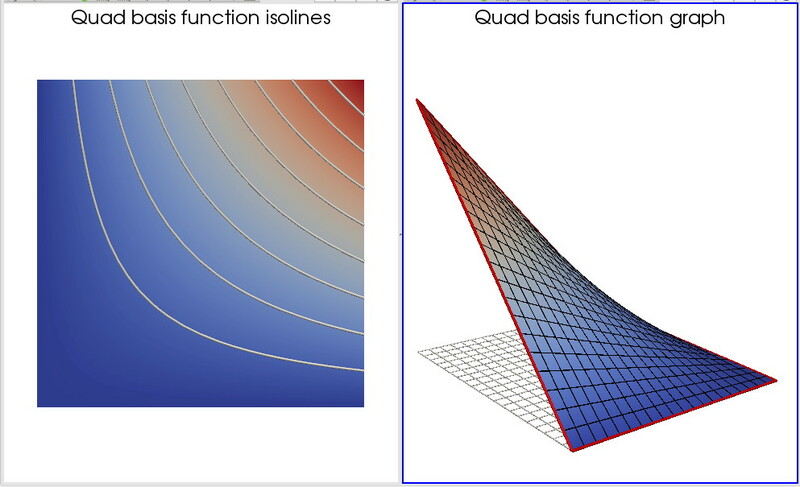 This sample visualizes a bilinear basis function over a 2D quad cell. The function is visualizes using color mapping, isolines, and height plots. The sample can be useful as teaching material to illustrate how such a basis function looks like. 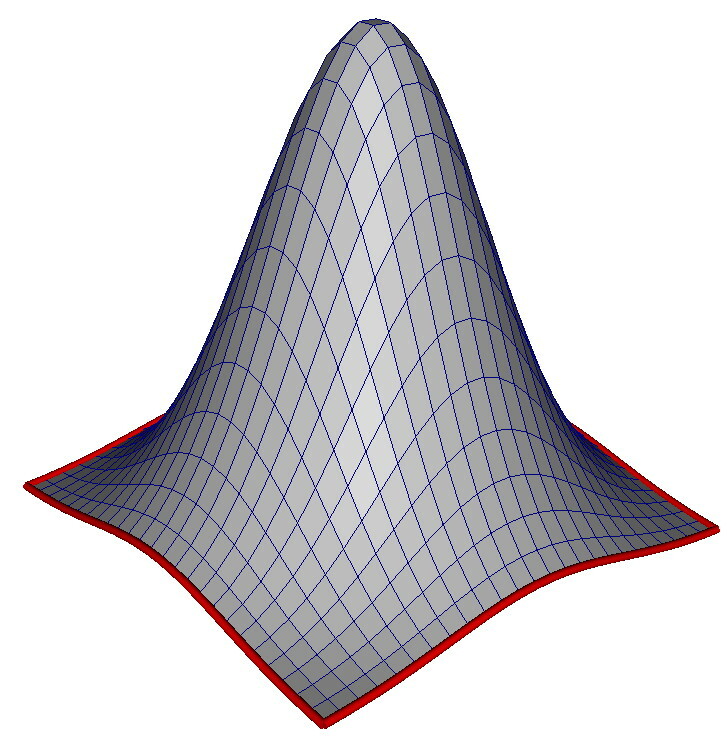 This sample visualizes a 2D Gaussian function using constant (nearest neighbor) basis functions for the surface. The sample can be useful as teaching material to illustrate how constant basis functions look like. 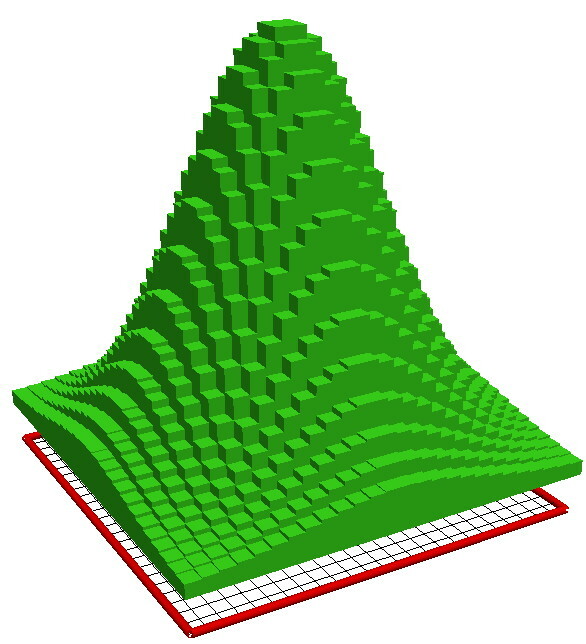 This sample visualizes 2D Gaussian function using constant (nearest neighbor) basis functions for the shading (illumination). This is also called flat shading, as discussed in Chapter 2. 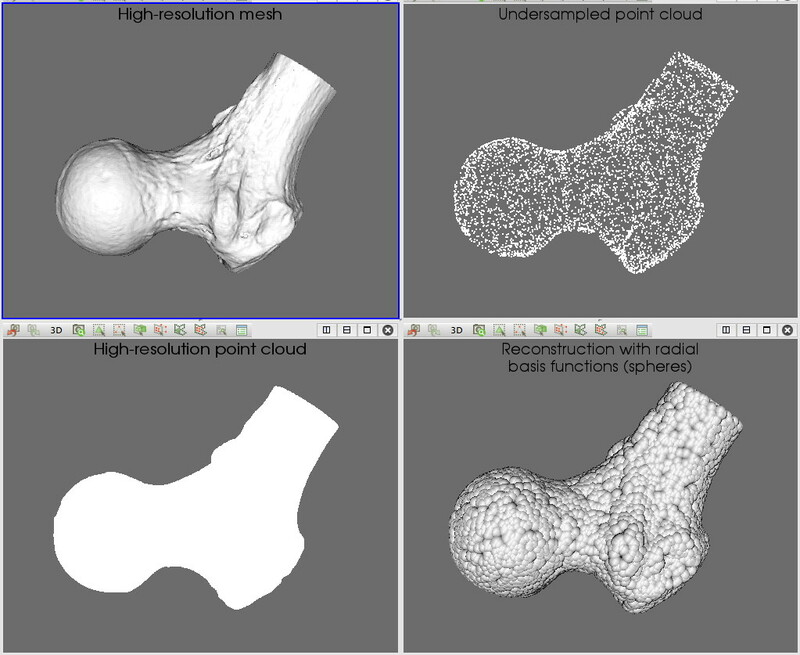 The sample can be useful as teaching material to illustrate how what constant basis functions mean for shading. 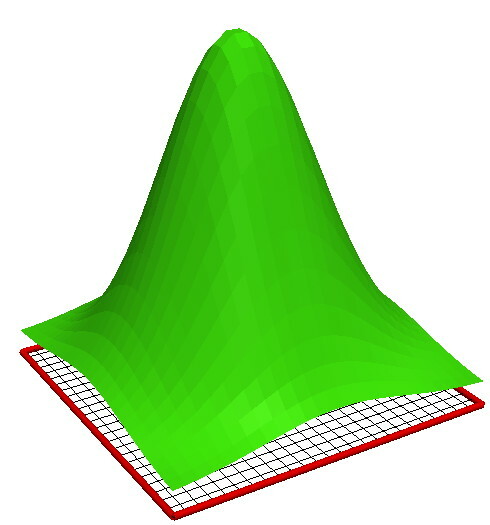 This sample visualizes 2D Gaussian function using bilinear basis functions for the shading (illumination). This is also called Gouraud shading, as discussed in Chapter 2. The sample can be useful as teaching material to illustrate how what bilinear basis functions mean for shading. 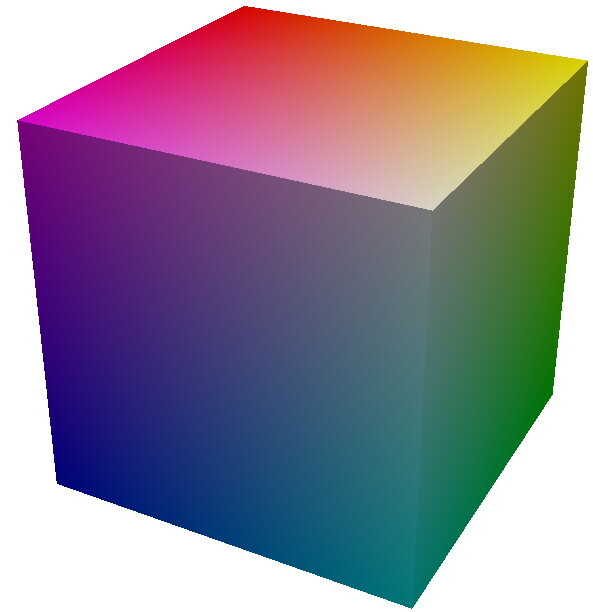 This sample visualizes the RGB color cube. 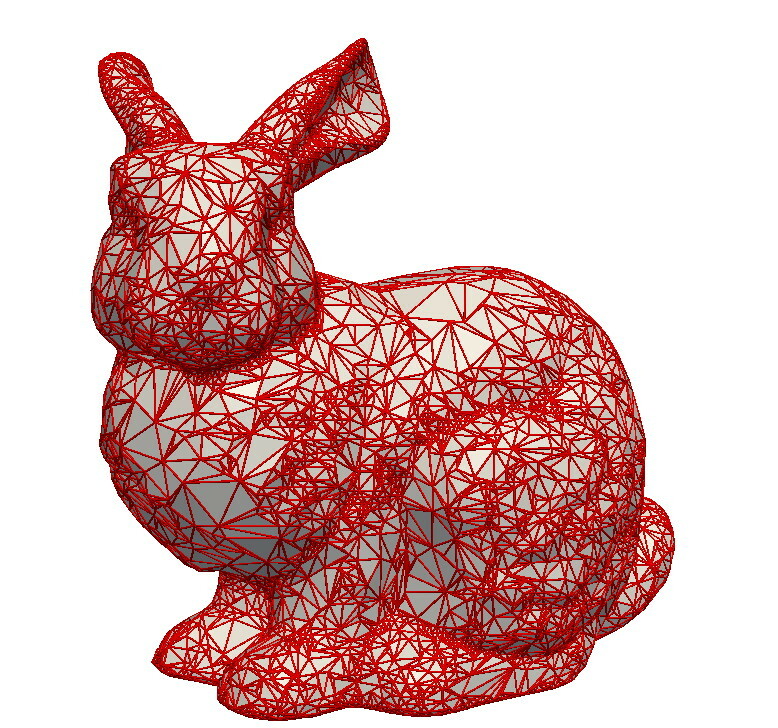 It can be easily changed to add annotations (e.g., labels for its vertices, or slice planes to see inside it). 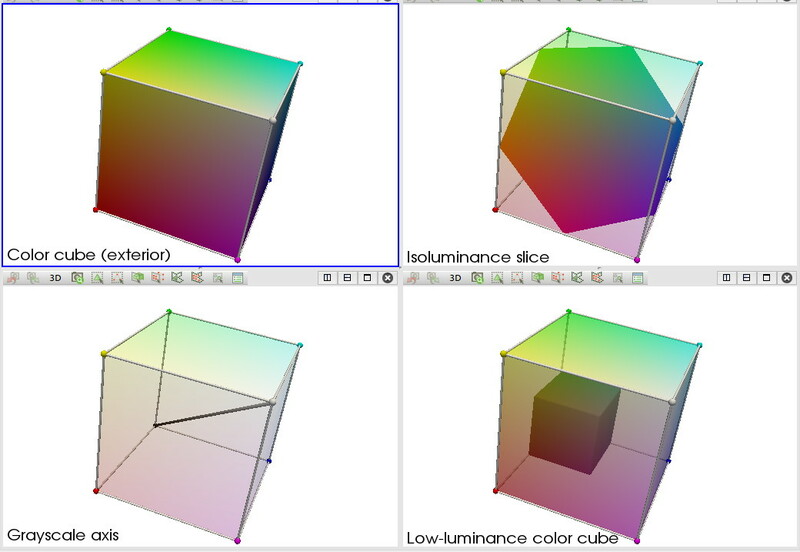 It can serve as teaching material to demonstrate the concept of the RGB color space. The sample can serve as teaching material to demonstrate the concept of the RGB color space.